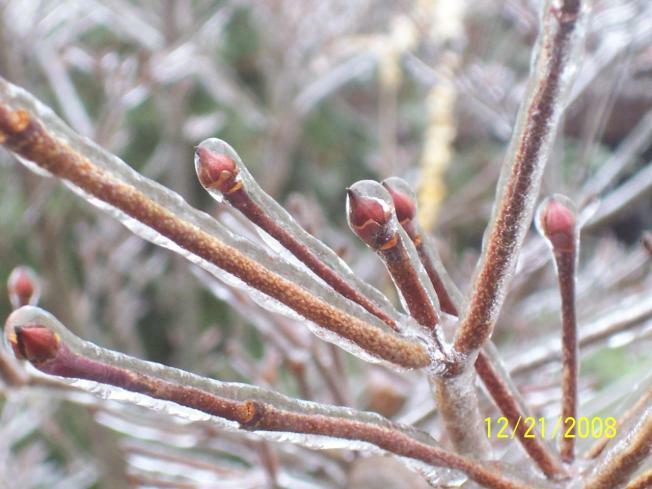 Some ice could greet people as they wake up on Christmas Eve morning north and west of Philadelphia. Warm air is moving in along with precipitation but the question is how warm it will be when the precipitation starts. Winter weather advisories start at midnight and will continue into Wednesday morning in counties North and West of Philadelphia. It will surely be above freezing at higher levels of the atmosphere, meaning we won't see snow. But the cold ground may not warm up enough to break 32 degrees. If the ground remain cold than the rain that will fall in the middle of the night could stick on all surfaces. A couple of hours of freezing rain could cause driving problems toward the beginning of the Christmas Eve morning rush (if there is one) on Wednesday. Southwest winds at the surface will push temperatures to well above freezing during the morning, and by afternoon, it should rise to near 50 melting anything that may ice over earlier. Keep with NBC 10 News Wednesday morning for the latest weather and traffic updates as this storm could go either way depending on how quick the temperature changes.